Barcelona are famed for their intricate teamwork and interplay but, alongside the collective, there’s always room for an element of individual brilliance. Sometimes you need someone to take that extra bit of responsibility to run at at the defence, and here we see some magnificent slaloming bursts leading to goals by the Academy’s stars of tomorrow. 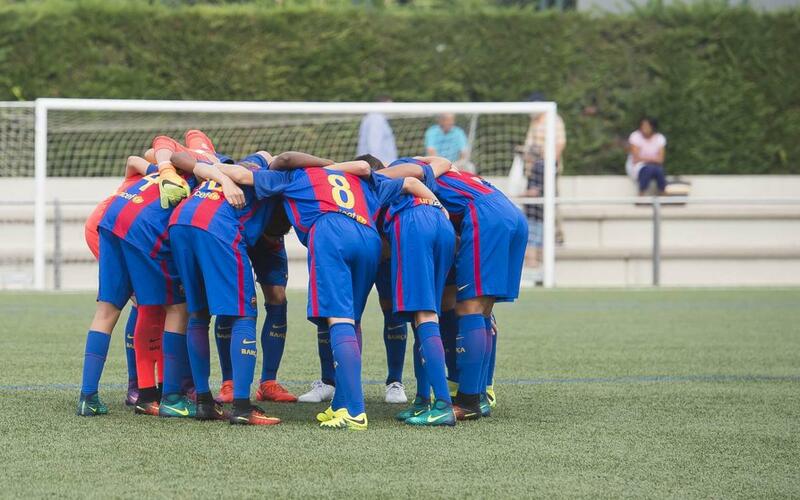 So sit back, put up your feet, and enjoy some magnificent solo work by Adrián Bernabé of the U16s; Antonio Cantón also U16; Jordi Mboula of the U19s; Claudia Pina of the women’s U19s; and, finally, Joel Escaler of the U10s.